MGM silent. 74 minutes (6 reels). US release: 7/15/25 (premiere); 9/6/25 (general). Not available on VHS or DVD. Cast: ZaSu Pitts, Tom Moore, Ann Pennington, Lilyan Tashman, Bernard Randall, Helen D'Algy, Conrad Nagel, Norma Shearer, George K. Arthur, Lucille LeSueur (Joan as "Bobby"), Paul Ellis, Roy D'Arcy, Gwendolyn Lee, Dorothy Seastrom, Lew Harvey, Chad Huber, Walter Shumway, Dan Crimmins, Jimmy Quinn. Credits: From the story "Hearts" by Adela Rogers St. Johns, which appeared in Cosmopolitan magazine. Adaptation: Alice D.G. Miller. Director: Monta Bell. Camera: Ira H. Morgan. 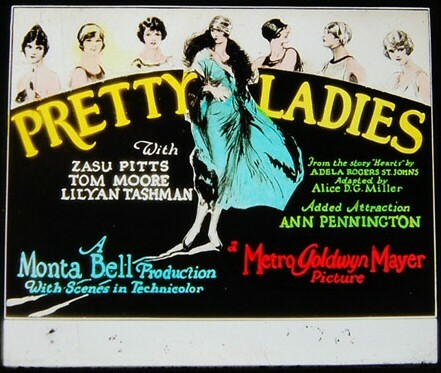 • This is Joan's first credited film appearance. She is billed for the first, and only, time with her birth name of "Lucille LeSueur." • In the film, Joan appears as part of a "living chandelier" in one scene, along with fellow screen newcomer Myrna Williams (who's uncredited and would later adopt the last name "Loy"). The two struck up what would become a lifelong friendship. An expensive film devoted primarily to plugging the Follies, for it mentions that show by name several times....The fault with the film is that either [director] Bell or the producers have tried to mix a spectacle of New York's theatrical world with an absorbing human interest story. 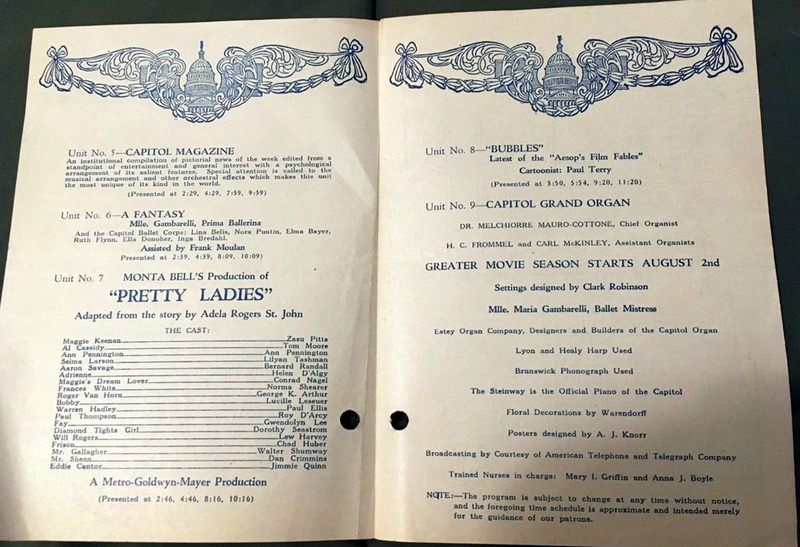 Most of the revue scenes are shown in color. 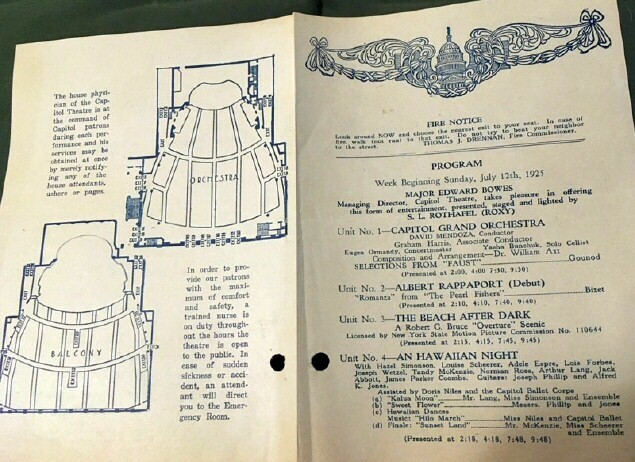 Living chandeliers and undressed ladies, usual revue adjuncts, are to be seen. Here is one of those back-stage photoplays, with a very commonplace story, and yet it has been made a thoroughly worthwhile film. The external evidence is all to the effect that the directing is what made it....[Director Bell] deserves the highest praise for this piece of work turned out of his studio. If the footlights hold a glamour for you, don't stay away from this picture. 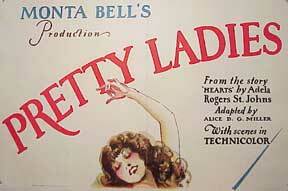 Pretty Ladies starts off with a rattling good story by Adela Rogers St. Johns. It's not just a hoked-up plot to keep some high-salaried actress at work. ...And Alice D.G. Miller has adapted it splendidly.... 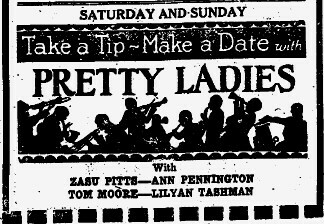 The cast is much too long and too good to describe in detail, but ZaSu Pitts, Tom Moore and Lilyan Tashman deserve special praise. 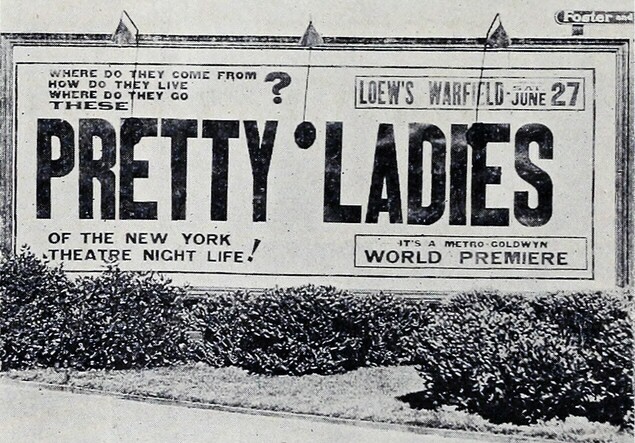 If you've seen Pretty Ladies and would like to share your review here, please e-mail me. Include, if you like, a picture of yourself to accompany your review, as well as a star-rating (with 5 stars the best) and any of your favorite lines from the film. I found Pretty Ladies from a man in Slovenia who happened to see a YouTube video I had posted of Twelve Miles Out. Very random and very lucky! I never thought I would see this film. The quality is much better than I anticipated. It has the look of a 35mm projector being recorded by a camcorder. You can see the flashing light of the projector and there is no music or anything. Truly a silent film. This is the film that Joan Crawford counted as “film number one.” It is her first significant role in a film. Most sources say that this is the first and only time that Joan Crawford was billed by her real name, Lucille LeSueur, but I’m not so sure about that. The more I learn about Joan Crawford, the more I realize how many facts people got wrong, especially about the early years. There is no screen credit given to her in the print that I found. Not in the beginning, not in the end, and not during the film (as was done in many silent films). There is a Technicolor part missing from the film, so it’s possible she was given credit in that. The print I have is 54 minutes and the film is said to be 74 minutes. I would LOVE to see the Technicolor parts! Such a pity. It was probably a choreographed dancing act like other parts of the film. The film has many famous faces in it, including Zasu Pitts, Lilyan Tashman, Conrad Nagel, Norma Shearer, and our beloved Joan Crawford, of course. Joan is a presence throughout the film, playing the role of a showgirl (according to sources, her name was Bobby, but I never saw that name used in my print). 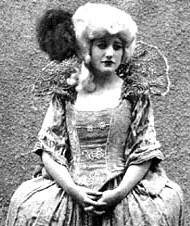 She is seen in a dancing bit in the beginning, talking to Pitts backstage in 2 scenes, dancing at a party, making out with some guy on the floor, and playing cards. She even has a few lines here and there. She seems at ease and very professional in such an early role. It looks very natural for her. Her best line in the film is “Men are all alike; if they ain’t fresh, they’re rotten." The plot of the film is actually kind of strange. 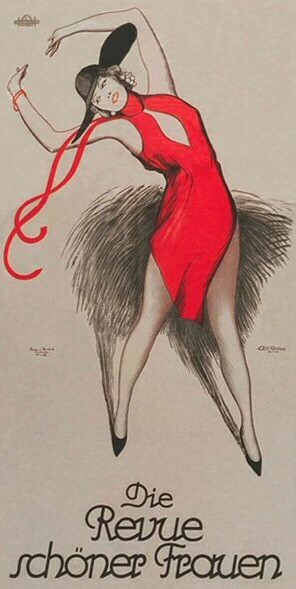 Maggie (Pitts) is part of the Ziegfeld Follies, along with many other showgirls. Her stage persona is that of a comedian and she is one of the stars, but in real life she is depressed and longs for true love. She envies the other showgirls’ exploits with men. She finally meets a man who writes a successful part in the show for her, and they fall in love and start a family, but another showgirl becomes jealous and has him write her a part in the show and ultimately gets him to commit adultery. Maggie finds out about it but refuses to acknowledge it. She remains with him, and the film ends with her praying to god that it doesn’t happen again. How sad! Such a tragic ending for such an upbeat film! You really want her to find love, and she does, but it’s not perfect love, and she doesn’t care… She says “I believe in God and God wouldn’t let this happen to me.” I’m not sure if there is a statement being made here or not. By and large I enjoyed the film a lot. The fashion and the art direction alone are worth the watch. I found a small train scene in the rain particularly enjoyable. The film was a good start to an amazing career of an amazing woman that didn’t really come to an end until 1972. 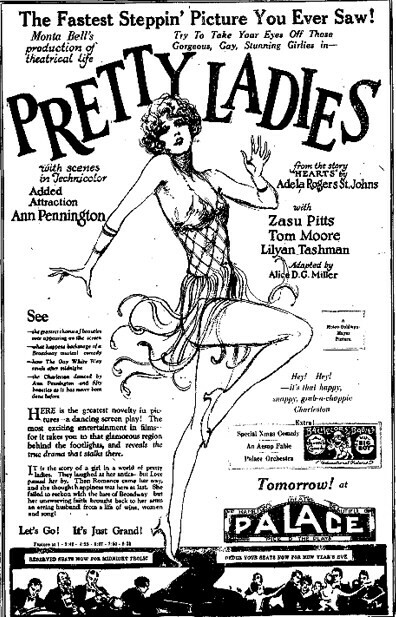 Above: Newspaper ads and review. Below: A San Francisco billboard.